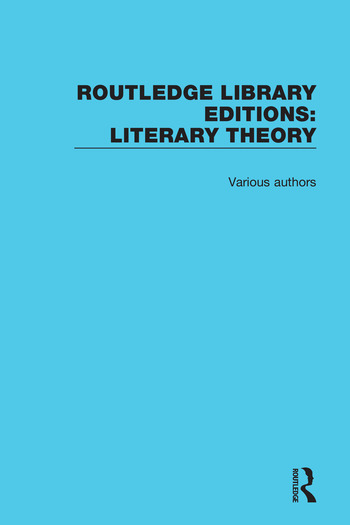 This set reissues 27 books on literary theory originally published between 1965 and 1992. Top academics in the field examine different aspects of literary theory, including structuralism, post-structuralism, stylistics and semiotics, and approach these theories in a variety of ways. This set will be of particular interest to students of literature and literary theory. Multivolume collection by leading authors in the field.